If you use anything that records data to an SD card frequently such as cameras, drones and dashcams then getting the footage from it can be a chore. A lot of modern tech comes with a variety of connection methods including Bluetooth, NFC, USB, and WiFi but you can't always guarantee that, and older models will often have fewer features. 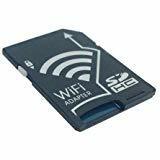 This is why many people have come to love WiFi-enabled SD cards that allow you to quickly access your files and back them up without ever having to remove the card or attach a cable. 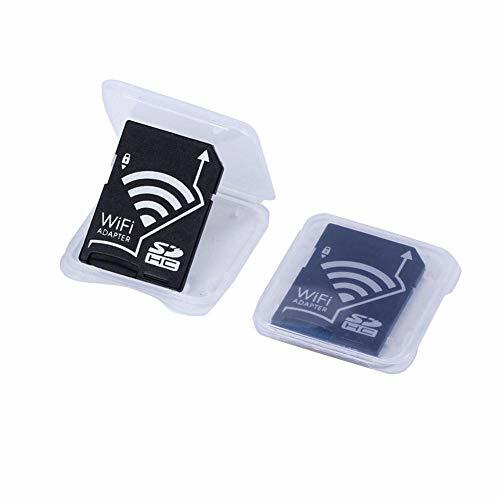 With some models, these can automatically backup your data making sure you never lose any precious memories from a lost of corrupt card. The reviews can be a bit mixed with these devices, and that is mainly due to compatibility issues, this is why I would use a company like Amazon to buy one so you can easily return it if you have issues. The innovative Toshiba FlashAir SD card series comes with Wi-Fi built-in, so data transfer to your workstation, tablet or smartphone is easier than ever. Save time at a photoshoot, share your images or videos instantly with friends and enjoy the convenience of leading technology from Toshiba. The 4th generation FlashAir even provides greater flexibility with integrated ‘Eyefi Connected’ feature that prevents a camera automatically powering off when wirelessly connecting with FlashAir. FlashAir has a mobile app for Android and iOS which allows you to view the content on the SD card, or to stream and share between devices quickly. Starting the app on your device before taking new photos will allow everything to be automatically transferee to your phone as you work. 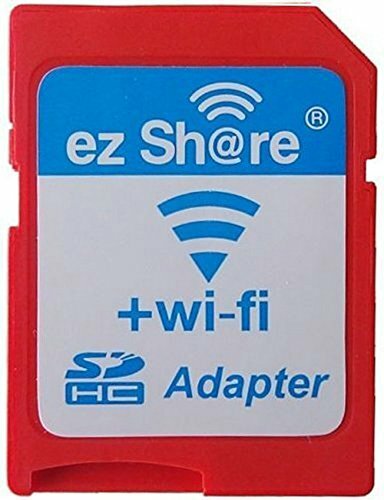 Ez Share is another well-known brand and this is an adaptor rather than a storage card itself. For me this would be preferable as it allows you to choose the memory size you want. The Amazon listing specifically states that this is not compatible with: Canon(1D mark III), Nikon(D5200,D7100), Sony(A99,RX1), Olympus(OM-D EM5). It also states that the product works with most SDHC compatible cameras from your favourite brands, including Canon, Casio, HP, Nikon, Olympus, Panasonic, Sanyo, Sony and more. Similar to the Toshiba card, you can enable auto-push to automatically transmit data from your camera to phone or other devices. There are no reviews of this but it is one of the cheapest options so could be worth considering. This is another adaptor so you can use your own microSD card. Only one review, though with 5/5 and it is not cheap. This is another adaptor card similar to the previous two. 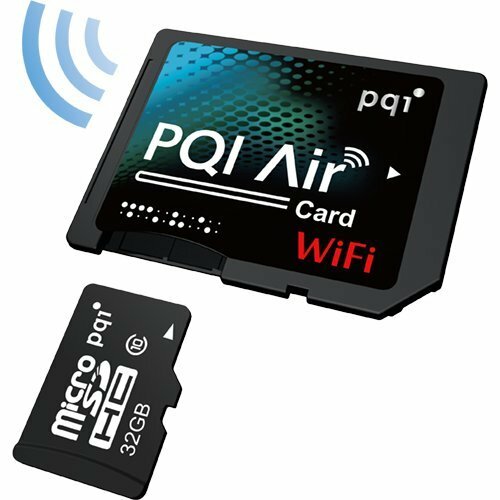 The PQI Air Card incorporates the latest Wi-Fi technology into a standard memory card, enabling “instant sharing” anytime and anywhere without the need of annoying wires. Regardless of the location, files can be immediately transferred in a simple step without the need of a computer or card reader, and the instant sharing of files will no longer be a problem. PQI brings an unprecedented convenience unseen in previous technology. 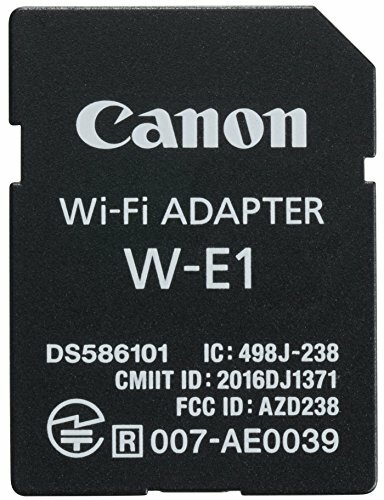 This is specifically for dual card-slot EOS cameras, enabling image and movie transfer, live view and remote shooting with the Canon Wi-Fi Adapter W-E1 for the EOS 7D MK II, EOS 5DS and EOS 5DS R Cameras. However, it is well reviewed so if you have one of those devices it is worth considering. 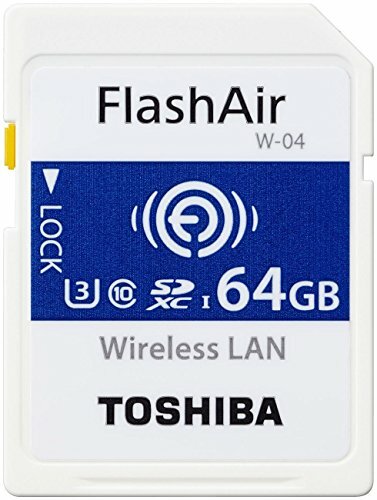 The Toshiba FlashAir looks to be the best option on Amazon currently, it easily has the most reviews, though they can be a bit mixed, which is largely due to compatibility with devices. Some cameras have an eye-fi setting, if this is available the card should work with no problems. EZ share is worth considering too, as it allows you to uses existing cards, and gives you upgrade options in the future if you want something bigger. I wouldn’t dismiss the cheaper cards either, if it is sold by Amazon you always have the 30-day return period if it doesn’t perform as well as you would like. Honor 10 Lite vs Huawei P Smart 2019 Comparison. Are there any differences? Please note that when possible if I link to an Amazon product or another retailer, I will use an affiliate link. This helps me cover the cost of running the site and does not affect my review of the product. I will always do my best to link to the cheapest option though I would always recommend looking around yourself as my prices don’t get updated often.